This summer Bunjil Place will host a fun-filled holiday program jam-packed with activities for kids of all ages, from art workshops to urban circus tricks and comedy. The whole family will be in stitches with Josh Earl: My Family’s Weirder Than Your Family. The hilarious new show will poke fun at a dad who can’t read maps, a mum who can’t be spoken to when her TV shows are on, a Nan who needs table manners and a dog that burps bubbles. Thursday January 24, 2.00 pm. Tickets $16. Join 3 Speed Crunch Box Rebooted as the world-touring trio of friends deliver impressive stunts, spectacular circus tricks and silly characters in an absurd, side-splitting slapstick comedy. The whole family will be laughing as kids become producers and help create a new show of clever aerial stunts and death-defying tricks. Sunday 20 January, 11.00 am & 2.00 pm. Tickets $16. 360 ALLSTARS and their world-class cast of athletes, dancers, musicians and BMX World Champions will connect the street with the elite to create a radical urban circus. 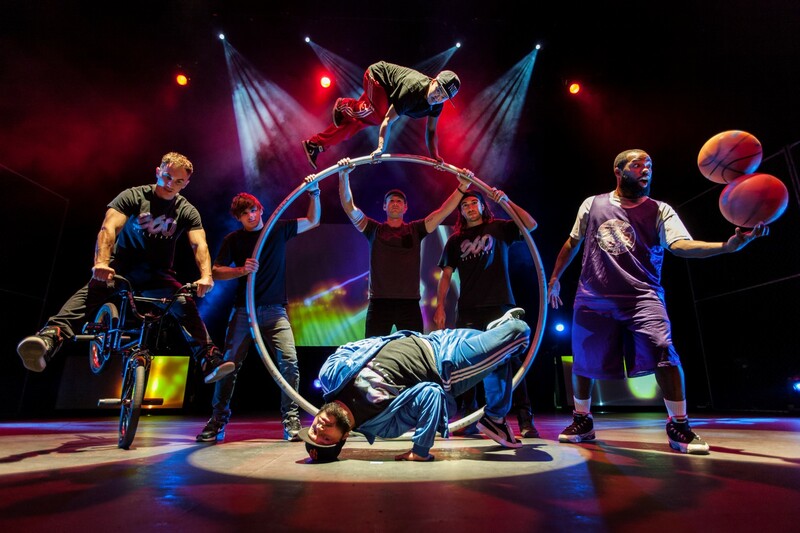 Expect the unexpected with break-dancers in place of acrobats, a basketball freestyler in place of a juggler, a BMX flatlander and a Roue Cyr artist, amidst a live soundtrack performed by award-wining master musicians, Gene Peterson & Roman MC. Thursday January 10 & Friday January 11, 5.00 pm. Tickets $16. Inspired kids can also get in on the tricks with an amazing line up of free 360 ALLSTAR Workshops, including Basketball Freestyling, BMX Flatlanding, Breakdancing, Circus Tricks and Acrobatics. Along with a Found Sound, Looping and Freestyle Rapping workshop, perfect for those eager to whip out unique sounds. Wednesday January 9 – Friday January 11, various times. Brimming with magic tricks, life-size toys and enchanting costumes, Australian Ballet’s Storytime Ballet: Coppélia will surprise and delight young ones and have them dancing all the way home. Wednesday January 23 and Thursday January 24, 11.00 am & 2.00 pm. For a bunch of art and craft fun kids aged four and up will be able to unleash their inner Picasso with hands-on activities and workshops with NGV Kids on Tour, as they draw inspiration from past and current NGV exhibitions. Monday January 14 – Friday January 18, 10.00 am.